May 4 is considered a holiday amongst all Star Wars fans. Last year, I decided to celebrate by wearing my fancy Star Wars shirt from H&M. 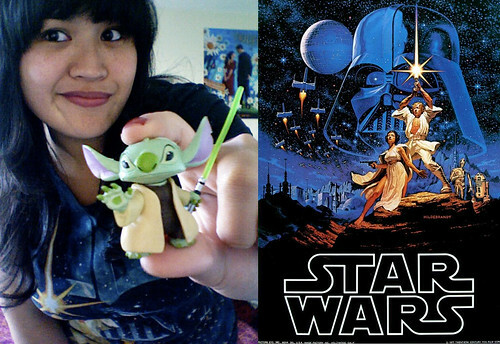 And yes, that is a Stitch as Yoda action figure. Bought him at Disneyland I did. In 2010, Ashley Eckstein, the voice of Ahsoka Tano in Star Wars: The Clone Wars, along with The Araca group founded Her Universe — a line of geek chic merchandise for scifi fangirls. 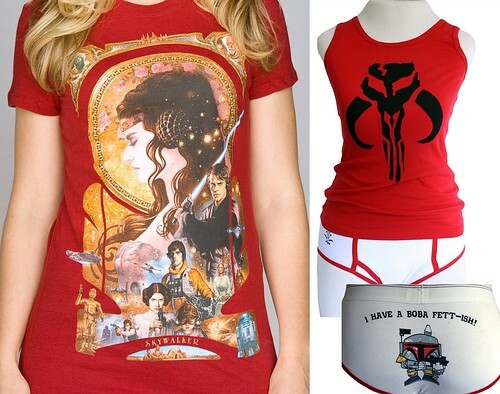 Right now their duds are solely Star Wars related, but soon they’ll have merch from SyFy shows.